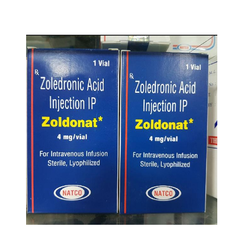 Our range of products include zoldonat zoledronate 4mg injection, leuprolide acetate injection, estradiol valerate injections, triamcinolone acetonide injections, ceftazidime injections and cefepime injections. Uses Used to prevent skeletal fractures in patients with cancer such as multiple myeloma and prostate cancer, as well as fro treating osteoporosis. 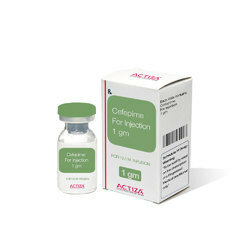 We are instrumental in supplying and exporting premium quality Triamcinolone Acetonide Injections. 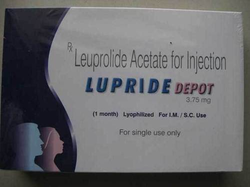 Sourced from established vendors, this injection is formulated under the strict supervision of experts. Offered drug is highly effective against breathing problems, allergies, intestinal disorders, arthritis, collagen and skin diseases. 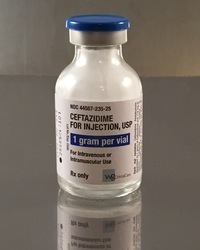 Rajdhani Exports is considered a trusted name of the industry that is engaged in offering Ceftazidime Injections. It eliminates bacteria that may cause infections of joint, stomach, blood, lung, skin, urinary tract, bone and others. The offered medication is provided in the form of white to cream colored, crystalline powder. 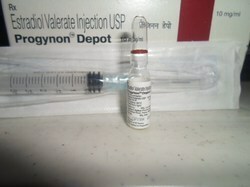 Our customers can avail these injections at affordable rates. 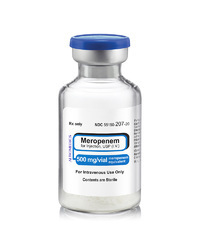 Meropenem Injections offered is available in injectable form and is sterile, pyrogen-free broad-spectrum carbapenem antibacterial. Finding use in form of intravenous administration, it is available in white to pale yellow crystalline powder form with solution varying from colorless to yellow as per the concentration. With pH of solution being 7.3 and 8, it is soluble in 5% monobasic potassium phosphate solution, sparingly soluble in water and insoluble in acetone/ether. 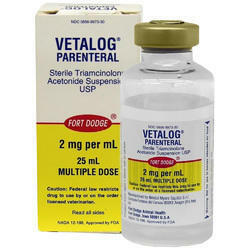 We carry out the detailed processing of our product range including Etanercept Injections in our organization. 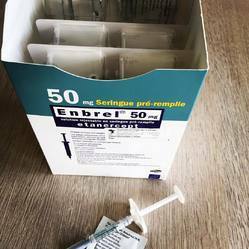 Our range of Etanercept Injections is appreciated among our clients for their long shelf life, high quality and effective results. They obtained using the supreme quality of raw material and are safe to use, highly effective and reliable in nature. Our range of product is processed under the strict supervision of our quality experts. These are free from any kind of flaws and are developed as per the demand in the market. Further our offered range is available at industry leading prices. 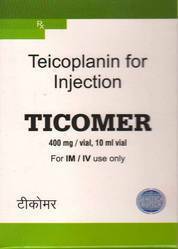 Ticocin 200 400 Inj (Teicoplanin) is an used in the prophylaxis and treatment of serious infections caused by Gram-positive bacteria, including methicillin-resistant Staphylococcus aureus and Enterococcus faecalis. It is a glycopeptide antiobiotic extracted from Actinoplanes teichomyceticus, with a similar spectrum of activity to vancomycin. Its mechanism of action is to inhibit bacterial cell wall synthesis.